We live in a sound byte culture. Protracted negotiations over the national debt are summarized in less than thirty seconds and the same statement is played over and over again in the media until viewers imagine that they know the depth and complexity of the argument because they can summarize it in a few simple memorable words. Is it any wonder that we are so ill equipped to handle the complexity of the situation? Sometimes, I wonder if something similar happens in terms of God’s word. The lectionary offers us fragments from larger books of Scripture, purposefully selected in light of liturgical theology, and repeated in cycles over the years. This selection and use of readings, however, depends upon a deeper understanding of the larger narrative of Scripture, which may no longer be present today. For example, I once had a convert to the faith express his surprise when he discovered that John the Baptist and Jesus were close in age. “But wasn’t John preaching in the wilderness long before Jesus was even born?” he asked. The liturgical fragmentation of the gospel narrative during Advent and Christmas had formed a different narrative in his mind. John was out there in the wilderness long before Jesus was born. The same, I imagine, could happen with Epiphany and Lent, where Jesus is transfigured before he ever is tempted. Am I arguing for the displacement of the lectionary cycle? No. I am suggesting, however, that we attend much more carefully both to the liturgical theology that shapes these readings and to the texts themselves that may not be as familiar to our hearers as they once were. The one time of the church year when a preacher can work with the lectionary readings in their extended biblical context is during ordinary time. Here, the church honors the ancient tradition of reading “the memoirs of the apostles . . . as long as time permits” (Justin Martyr, The First Apology, chapter 67) by inviting preachers to preach through a whole book of Scripture over a series of Sundays. For example, this year we are in the midst of a series of readings from Romans. Even then, however, notice how our practice of selected readings may create a much more fragmented text than is necessary. I was recently in California leading a continuing education event in preaching. There, we had a chance to discuss the upcoming readings from Romans and noticed the epistle reading for August 14th: Romans 11:1-2a, 13-15, 28-32. Really? We all know the difficulties of this section of Romans. Why compound the problem by fragmenting the section even more? Adding a few more verses would certainly call for an expenditure of more time. It might, however, be time well spent. What intrigues me about the lectionary selection is not just the fragmentation of the text. It’s the (unstated) principle of selection. Am I wrong in thinking that there’s a sound byte quality to the reading? The main ideas are extracted but the material that Paul uses to develop those ideas, to support and to clarify his thought, is left behind. Look at what is missing: the struggle that Paul has with Scripture, the way in which he moves from examples to citations of the Torah, the Prophets, and the Writings, his incisive rhetorical questions and debate, his offer of personal testimony, his imaginative appeal through vivid illustration, and his proclamation of the hope of prophecy fulfilled. One wonders whether it might not be helpful to offer hearers a bit more of Paul’s own Scriptural interpretation in the reading. Rather than reporting what Paul says, extracting a summary of points from the text, could we listen to how Paul says it? Could we overhear how Paul arrives at these truths, explore with him the Scriptures, and meditate on the way these words lead to this revelation of God? If nothing else, it might slow down our interpretative practices, create a bit more resistance to a proof-texting mentality, and ultimately foster humility and deepen our meditation as we approach the very words of God. Thank you for this reflection. I have been struggling with this very thing as of late. We grieve that our people do not know the scripture and its landscape and then we play hopscotch through any given book via the lectionary. I too would not commend abandoning the lectionary, but there are times when, for instance year of ‘Matthew’, it would simply follow the text week to week as given to us! To back up your Romans example, take a look at how the Sermon on the Mount was treated this past spring in the 3-year lectionary. After good attention to Matt. 5, it abandoned the course at the beginning of Matt. 6. Yet here is/was Jesus’ longest discourse. Here is/was the text that is often misunderstood by our people as it is used by the liberal mainline churches as the gospel-within-the-gospel (a foundation to hold up the great commandment as the gospel over and against the resurrection and the great commission and the true Gospel of grace that it bears), and we abandon it in our readings just 4 weeks in. Finally, I’ve often wondered if letting texts speak more often for themselves, in a consistent, week-to-week linear fashion might be a way to encourage pastors to deal more with Old Testament texts. As it is, the somewhat choppy usage of the Gospels and Epistles feels like near-solid-ground when compared to some of the yearly meanderings through the Old Testament. Again, thank you for bringing this up for dialogue. Thanks, David. I think I remember talking with Jeff Gibbs and Ron Rall about the configuration of the Sermon on the Mount during our round table discussion on Preaching Matthew. It was odd what was included and what was left out. In addition to the editing challenges you have mentioned, there is the experience of no longer hearing the opening beatitudes as one returns to the teachings in the week’s to come. If I remember correctly, Jeff had suggested revisiting the beatitudes as a way of bringing the hearers back to that moment of grace in later sermons – thus, holding the teachings together by that very brief but beautiful moment in later sermons. there are times when, for instance in the year of ‘Matthew’, it would simply be a joy to follow the text week-to-week as given to us by Matthew! I also recall a political science study done a dozen years ago when I was an undergrad at UCSD that recorded, in minutes and seconds, the average length of news soundbytes over the previous 40 years; from year to year and decade to decade, the average amount of time the media permitted news makers to “speak for themselves” decreased dramatically. And in the context of your comments, Prof. Schmitt, sustaining the attention of hearers steeped in 140-character soundbytes will likely be an increasing challenge over the coming years. Thanks, Don. In preparing for the symposium on preaching this fall, I stumbled across some recent research on the effects of media multitasking upon human consciousness and it seems that the two qualities they identified as particularly difficult for people immersed in media multitasking are (1) deep reflective thought and (2) empathy with other human beings. As one thinks about the value of both of these habits of mind for the Christian faith, it is a rather frightening challenge we have before us. This is why some of my work at the symposium will be directed toward thinking about how we use time in the pulpit, perhaps helping our hearers in that difficult matter of deep reflective thought. Thanks for the references! A word of thanks (having been blessed through your presence out here on the West Coast)for your reference to two excellent texts on the lectionary. I’m midway through the first one and it’s fantastic in helping me better understand it historically and theologically. The Sunday Lectionary: Ritual Word, Paschal Shape by Normand Bonneau is accessible and informative. Great survey of the lectionary history and content! Hi Paul! I was wondering if you’d read this post since our conversation was part of what prompted it. Glad to see you saw the post and that you got the books. While it would be great to have a clearer understanding of how our leaders worked in revising the lectionary, until something is published on that, knowing the background of what they worked with (Bonneau) and seeing what they changed is an excellent start. God bless! Certainly, the selection and use of lectionary readings “depends upon a deeper understanding of the larger narrative of Scripture,” to quote you above. While such an understanding may not necessarily be operative in the beings of the listeners, I would counter the suggestion that such an understanding is no longer present today. Such an understanding is always present in the Collect of the Day, assuming, of course, that the Collect is indeed prayed prior to the readings. While liturgical theology indeed shapes the readings, liturgy (primary theology) itself shapes the hearing of such readings. Careful attention to liturgical theology necessitates the recognition that the Collect of the Day primes our ears to hear in a particular way, and with a particular view, what (or, rather, whom) the readings will set forth. In this respect, I agree totally with your view that the fragmentation of lectionary texts takes the form of a sound-byte quality. But, in similar vein, so does the Collect of the Day, and that by rhetorical design. The Collect lodges into the beings of the hearers the normative sound-byte, through which they hear and appropriate that which is read and ultimately proclaimed. While I agree that supportive Pauline material, to focus on Epistles specifically, would certainly be helpful in more fully appropriating Paul words and thought, I will assert that much of such words and thought at least resonate, if not consonate, with the choice words of the Collect given in its concrete structure, a “Paul concentrate” if you will. And, while fuller, non-fragmented lectionary texts would help in the effort to slow our interpretive practices, combat a proof-texting mentality, and foster humility and deepen meditation, entering the Collect as it is prayed contributes to these very postures in a primary way. There is no better way to approach the reading and hearing of sacred scripture than through the Collect of the Day–all in the context of thought that the scripture’s permanent residence is that of the Church’s liturgy where it is recited and heard (with one’s study or hearth where scripture is read serving as a vacation home at the very most) That’s the singular role the Collect serves, and thus is why the Collect is placed at the conclusion of the introductory rites, immediately prior to the readings. Thus, I would set forth that the biggest culprit for the lack of a deep understanding of the larger narrative of scripture is not the lack of scriptural encounter but is rather the inability (refusal?) to pray well. My collective observation concerning the praying of collects (and of liturgical presiding in general) finds that collect praying essentially consists of “getting through” via spoken script-reading, to which the assembly sings their “Amen” all the way toward the secondary-dominant of G (forgive the esoteric musical satire on Divine Service, Setting Three). Awkward collective recitation of the Collect has it’s own problems and doesn’t help either. There’s a lot left to be desired there, in my view, and a lot to overcome in order that a Spirit-filled approach to reading/hearing scripture will result. Presiding well, practicing liturgy well, praying well can do a mighty lot with a great little, and non-fragmented lectionary texts will only serve God’s people further. Thanks for your good thoughts. I appreciate particularly your desire to deepen the experience of the service as a whole, helping pastors and people understand how it all holds together in theory and then experience that gracious holding of God in practice. For me, this is one of the reasons that I was saddened by the removal of the propers from the hymnal. I had found that the propers could be used in weekly prayer and preparation for worship. Having them in the hymnal made them more accessible for such use prior to worship and following worship. I do understand, however, that there was a lot they desired to put in the hymnal and there is only so much space. Dr. Schmitt, I really enjoyed this article. As much as the struggles with the lectionary continue, I also enjoy having it, especially to avoid, as author Craig A. Parton (a former American Evangelical turned Lutheran, who wrote the brilliant “The Defense Never Rests”, published by CPH) puts it, “The ordeal of hearing 47 straight weeks of sermons on Daniel)”. I know that the lectionary is a wonderful vehicle to “preach Christ crucified”, because all Scripture points to Jesus as Savior from sin. In that regard, the selected readings “major in the majors” whenit comes to proclaiming the Gospel. What I am struggling with is the fact that the lectionary does not present the whole counsel of God. What I mean is this: I just spent a wonderful time at a conference in my district listening to the sage wisdom of Dr. Reed Lessing as he presented his teachings on the Book of Amos. What happened was that as I read from Amos in my bible, I would get to end…and “discovered” Obadiah. 21 verses, and not in the lectionary at any point. Yet, I was drawn to the is little book, and did some research and reading, and came to the conclusion: what a book! And I thought: why was this not included in the lectionary readings? I also noticed that Nahum and Haggai are also missing. Not to mention that there are also great accounts of the Bible that are not in the Sunday readings, like Daniel and Shadrach, Meshach and Abendigo. 2. Include passages of Scripture, or even books of the OT, that are not referenced to at all in the lectionary, and yet are still the “God-breathed” Word, and still proclaim salvation through Jesus Christ. 3. Most important, selecting scripture passages as alternatives that provide thematic unity across the readings. For example, I am preaching this Sunday on 1 Thessalonians 1:1-10, which, thematically, has nothing to do with the OT (Isaiah 45:1-7, Cyrus as God’s servant) or the Gospel lesson (Render to Ceasar and to God). 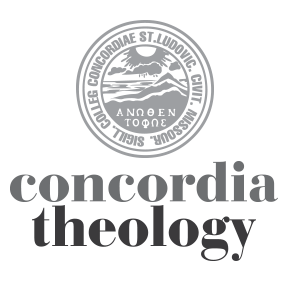 According to Concordia Pulpit Resources, I was supposed to preach on Matthew 22. But I didn’t want to. Why? Because I had already preached “thematically” on this passage when I preached on Romans 13:1-10 back in July! Then it occured to me: what if the lectionary offered an alternative, “thematic” epistle, such as Romans 13:1-10, on this Sunday? “Thematically”, it would fit just right with the OT and the Gospel. Or, during Epiphany Sundays or Sundays after Pentecost, what if the pastor wanted to preach on the Epistle, and the lectionary offered alternative, “thematic”, OT and Gospel readings? I’m still working this out. But given biblical literacy among our members today and the loss of “meta-narratives” in general in our culture, I think adding texts for the pastor’s perusal would heighten and expand biblical knowledge, and thus, increase faith, hope and love. I know many pastors in the LCMS preach on whatever they want to, often in a series. Yet, this would be my effort to offer that flexibility, while still maintaining the orgainzation that the lectionary maintains and provides. Again…I’m still working on it. Blessings on your ministry, Dr. Schmitt, and thanks for the article!